More than just the greatest bodybuilder and action star, 'The Oak' is also a champion of supporting good causes. Arnold Schwarzenegger: Bodybuilder, governator, Hollywood superstar, Celebrity Apprentice host. But did you know that “philanthropist” should top that list? For over two decades, Arnold has worked tirelessly to provide after-school programs that give kids a safe place to go when the school day ends. He is so committed to the cause that he founded a charity, After-School All-Stars (ASAS), in 1993 to ensure that as many kids as possible have a safe haven when the school bell rings at 3 PM. 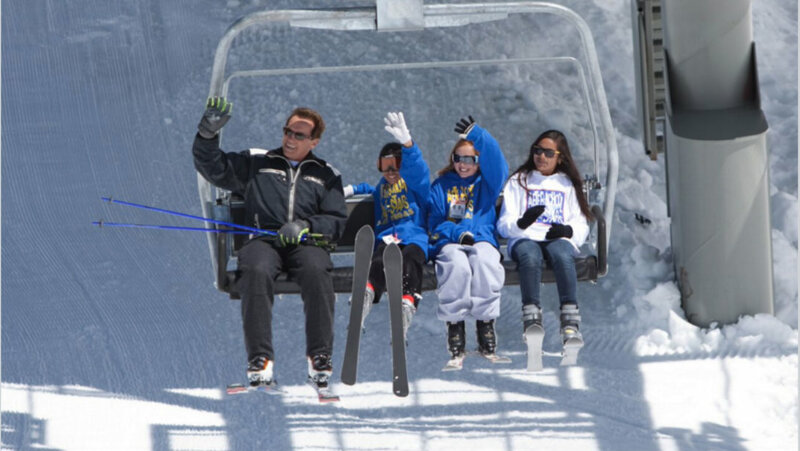 ASAS is dedicated to fulfilling Arnold’s mission and helping kids succeed in both school and life. Every school day, over 70,000 low-income kids in more than 350 schools from Harlem to Honolulu turn to ASAS for fun and engaging academic enrichment and health and fitness programs. 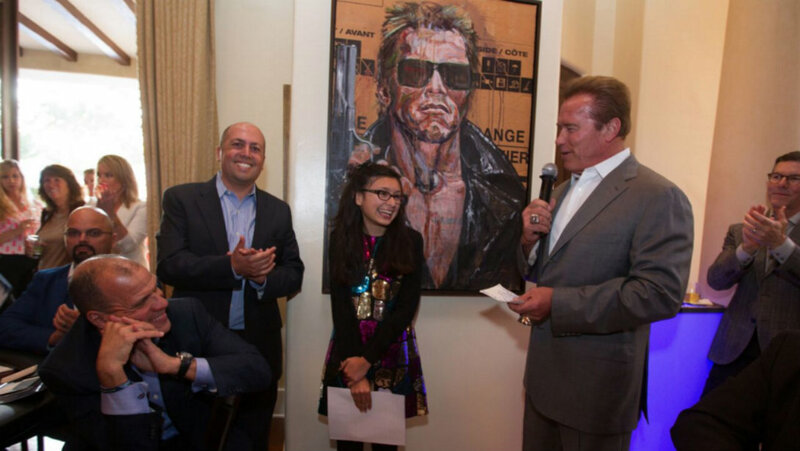 This holiday season, we want to shine a light on the great work that Arnold’s done with After-School All-Stars…. In 1990 Arnold was appointed to lead the President’s Council for Physical Fitness. This role ignited his passion for helping kids stay healthy and inspired him to found his own organization. In 1993 Arnold launched the Inner City Games Foundation and brought kids from all over Los Angeles together for “Olympic” style fitness events. But that wasn’t enough. Once it was clear that the program was a success, Arnold decided to expanded it to cities across America. But even that wasn’t enough. In 2003, he took the organization to the next level, re-branding it “After-School All-Stars” and expanding its programing to include free, fully comprehensive after-school classes from 3-6 PM every single weekday. Today, ASAS serves over 70,000 kids, providing high school and college preparation, career exploration opportunities, community service projects, and of course, health and fitness (including nutrition and healthy cooking, gardening and daily active play and tournament sports). Arnold knew that after-school programs benefited kids, parents, teachers and society at large. As a campaigner and later as “Governator” he worked with local, state and federal government to promote after-school education. He campaigned to pass Proposition 49 in California, which increased funding for after-school programs in California, and starting in 2004-2005, permanently earmarked a portion of the state's general fund for after-school programs. This created a precedent that led the federal government to protect after-school funding, and in 2010 and again in 2013, Arnold went to Washington D.C. to encourage Congress to pass federal legislation that would protect and increase funding for after-school programs! In 2015, Congress reauthorized this funding. But even that sill wasn’t enough for Arnold! He saw a report that showed that over 11 million kids in the US were still waiting to get into after-school programs and decide to act. In true Schwarzenegger fashion, he got creative. With the help of his tank – yes, Arnold owns his own tank – he started crushing things to raise money and awareness. A year later he upped the ante and broke out the explosives to the blow the sh*t out of a car, a speed boat, a giant teddy bear and the world’s largest movable pizza. It felt like the set of an action film, but it was really an online fundraiser that helped raise millions of dollars for After-School All-Stars to help more kids gain access to quality after-school programing. NOW IT’S YOUR TURN TO JOIN ARNOLD! It’s easy! Just pull out your credit card and make a donation that you will feel great about. 1. If feeling awesome about donating to Arnold’s charity doesn’t provide enough of a high, we’ll sweeten the deal. We are offering a limited edition ASAS water bottle with an inspirational quotation from Arnold for every $35 donation (that’s how much it costs to give one kid a week of afterschool program) we receive. Think of it as Arnold’s way of saying "thank you" and of reminding you to not slack off at the gym when January rolls around. We’re betting it’s the purchase you’ll feel best about this holiday season! 2. You’ll be helping Arnold achieve his mission to help kids succeed in school and life – that’s a pretty awesome holiday gift to give yourself!